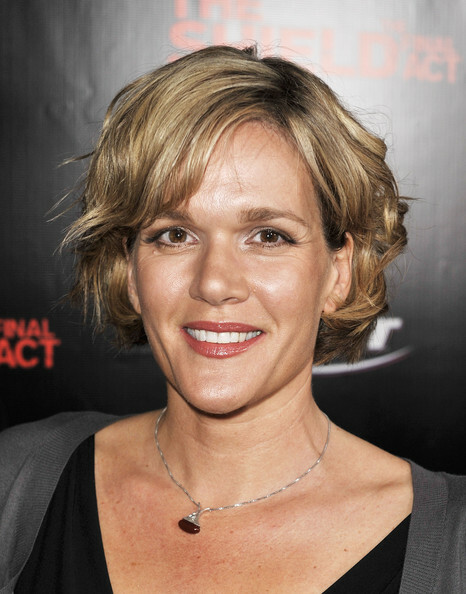 Catherine Dent is an American actress who has starred in film and in television. Her first feature film was the 1994 movie Nobody's Fool. Dent was born in Baton Rouge, Louisiana, the daughter of Eleanor Brown and Fred C. Dent, a politician. She attended the North Carolina School of the Arts and graduated in 1993. Her big breakthrough role came in 2002 as L.A.P.D. Officer Danielle "Danny" Sofer on the FX hit drama The Shield. She has made guest appearances on some TV shows, such as on The Pretender, The X-Files, 'The Invisible Man, Law & Order: Special Victims Unit, The Sopranos, Frasier, Judging Amy, CSI: Crime Scene Investigation, Without A Trace, Grey's Anatomy and NCIS. Whole or part of the information contained in this card come from the Wikipedia article "Catherine Dent", licensed under CC-BY-SA full list of contributors here.